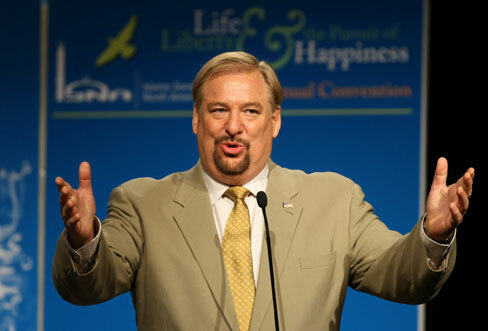 Apprising Ministries has long been a leading critic of the semi-pelagian (at best) doctrine of Southern Baptist megachurch pastor Rick Warren. Of course that’s merely one of the fruits festering within apostatizing evangelicalism because of its foolish fascination with corrupt Contemplative Spirituality/Mysticism. You might remember that Rick Warren then appeared in the comments section of Hinch’s report with a rather nebulous comment about apparent misinformation allegedly put out by Hinch. So in Rick Warren, Islam, And Jim Hinch I shared with you the result of my personal conversation with Hinch, as well as his subsequent clarification. Once again, watchbloggers are accusing Rick Warren of heresy. Why? Because, Warren explains, a secular Orange County newspaper got something wrong about a religious issue. Some of the usual bloggers have done their usual job. However, due to the nature of the story, some mainstream news organizations and bloggers, without the constant anti-Warren agenda, were asking questions and wondering what what was going on. I was. So, I emailed Rick and asked him. Since I am considered one of those “watchbloggers” this immediately caught my attention. Stetzer would go on to say, “I am sure those who quoted the OC Register will also quote this to clear up any confusion.” Indeed Daniel Neades of Better Than Sacrifice, editor of my CRN, did immediately cover this development. Well, in the interest of fairness I decided to email Jim Hinch today. Remember, he is a veteran freelance reporter; not some “angry watchblogger.” I asked Jim if there’s any way I could get a copy of that King’s Way piece at the source of this confusion. I explained that without seeing it there wasn’t much more I can say. As I then told Jim Hinch in my email to him, sure, someone can hide in the weeds claiming all of this doesn’t exactly say that Muslims believe in the same God, but it’s my assertion this is the clear implication. I’ll also offer that if one doesn’t mean this then they’re actually being a bit disingenuous to followers of Islam. The Register story based the phrases “same God” and “one God” on the phrasing in this document, which states that Christians and Muslims believe in one God. 2. Rick Warren initially posted a comment to the article claiming that the article contained “multiple errors.” That comment was later deleted, I presume by Warren. After seeing that comment I reached out to Warren’s director of communications. On Monday, Feb. 27 a Saddleback representative called and told me that while the Register story was factually accurate, folks at Saddleback would prefer that the opening paragraph read “Muslims and Christians believe that God is one.” Following a discussion with a Register editor Saddleback decided to withdraw its request for a clarification. At no time has anyone at Saddleback said to me or to anyone else at the Register that the story contains factual inaccuracies. 3. Warren states in his white paper that “no one even talked to me about that article!” I made numerous attempts to contact Warren, both by phone and by e-mail, before the story was published. I was eventually told by Warren’s director of communications that Warren was too busy with other projects to speak with me or to e-mail a response to the story’s main claims, which I had e-mailed to the communications director. Instead I was put in touch with Tom Holladay, an associate senior pastor at Saddleback. I ran all of the story’s claims by Holladay and he affirmed all of them, including the language of the King’s Way document and the fact that King’s Way was an effort to build bridges of friendship and cooperation, not an attempt to evangelize. During my conversation with Holladay I asked whether the King’s Way effort, including the December dinner and the theological document, was done with Rick Warren’s approval. “Of course it has his approval,” Holladay replied. It is neither fair nor accurate to claim that this story was published without attempting to solicit Rick Warren’s response. 4. Warren claims in his white paper that it is “flat-out wrong” that either he or members of Saddleback have promised not to evangelize the Muslims they are working with in the King’s Way effort. As I stated above, that was not what I was told by Tom Holladay. Also, every one of the Muslim sources I talked to for this story emphasized that both sides promised not to evangelize one another. Indeed Muslims told me that the promise not to evangelize was one of the things that enabled them to overcome their wariness toward evangelicals and build bonds of friendship. Again, no source for this story, including at Saddleback, ever told me that the intent of the King’s Way effort was to evangelize Muslims. This story, obviously, has generated a great deal of passionate response. I respect Rick Warren’s desire to make his views and intentions clear. However I do not believe it is fair to question the accuracy of the Register’s story or the way it was reported. I have had several conversations with people at Saddleback following the publication of the story, including with the church’s director of communications. Everyone I have talked to from the church has told me that the story is entirely factually accurate but they wish certain phrases had been worded differently. However, since those phrases stem directly from a printed document whose authenticity no one has questioned, everyone agrees that there is nothing in the story to correct.